Please be sure to watch the Carlsbad 55 plus communities videos and browse new listings below. Also check out homes for sale in nearby 55 plus communities in Encinitas, Oceanside, Rancho Bernardo – Del Sur, San Marcos, Vista, and Escondido, California. The popular beach community of Carlsbad CA has five 55+ communities to choose from – all of them are gated. Two of the communities are within walking distance to the beach: Solamar and Lakeshore Gardens. Carlsbad has an ocean influenced climate. The summer days can be cooler than towns situated more inland, and the winter days can be a bit warmer. Coastal fog occurs frequently, especially in late spring and early summer. The city is also home to the Legoland theme park, the Flower Fields, the Carlsbad Premium Outlet Mall, three golf courses and seven miles of public beach. Solamar is a small mobile/manufactured home resident-owned community just across the famed Pacific Coast Highway from the beach. Because of its small number of homes and also its stunning ocean views, homes for sale in Solamar rarely become available on the MLS. Lakeshore Gardens is a land-leased senior mobile/manufactured community also located west of the I-5 freeway, just two blocks from the beach. Residents may not need their cars often, as a convenient shopping center is just across the street. Lakeshore Gardens is built around ten small lakes, and is surrounded by million dollar homes. The other three Carlsbad resident-owned 55+ mobile/manufactured communities are east of the I-5 freeway, a few miles inland, all centered on El Camino Real. Rancho Carlsbad senior community features a lake populated by friendly ducks, two clubhouses and sits beside a public par 3 golf course. Camino Hills is across the street and sits high on a hill, offering some nice easterly views. El Camino Estates consists of just 20 homes, with a pool, spa and clubhouse. If you are looking for the best places to live and/ or retire in 55+ communities in Carlsbad, CA, please contact us! Camino Hills is a gated 55 plus community in Carlsbad CA that offers many amenities including a clubhouse, pool, spa, with panoramic views of rolling hills. Active seniors at Camino Hills also enjoy many different activities weekly, making this an ideal place for retirement. Camino Hills has detached single story manufactured homes on private lots. El Camino Estates is a small senior community near the beach in Carlsbad, CA. You own the land in this Carlsbad senior park. To learn more about El Camino Estates’s HOA information including rules and restrictions before committing to purchase a home, please be sure to call their HOA directly at 760-730-3970. Lakeshore Gardens offers resort style living near the coast in Carlsbad, CA. There are 383 mobile homes at Lakeshore Gardens. Residents do not own the land under the homes in this park. There is no monthly HOA fees, however residents do pay a monthly Lot Rent here. The rent fee varies on where in Lakeshore Gardens the home is located. If the lot is on of the premier lots, the space rent can currently be as much as $1750. Lakeshore Gardens is a gated Carlsbad senior mobile home community. To learn more about Lakeshore Gardens’s HOA information including rules and restrictions before committing to purchase a home, please be sure to call their HOA directly at 760-438-4069. Rancho Carlsbad is an active, gated and guarded 55+ community of 504 homes in Carlsbad CA. Seniors can normally find a wide selection of homes actively for sale in this retirement community adjacent to a public golf course. Rancho Carlsbad is located on 100+ acres of lakes, green belts with mature trees and lushly landscaped grounds. 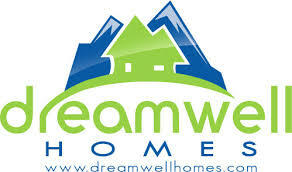 This is a resident owned community with detached manufactured homes with condo ownership. Rancho Carlsbad is ideally located along El Camino Real in a green natural area, but still close to the beach and shopping and dining options. The community is also situated directly beside the Rancho Carlsbad Golf Club. Walk or drive your golf cart to the course to play a round on the 18 hole, par 3 course, practice your skills on the driving range, or enjoy lunch at the deli overlooking the verdant property. Discounted annual golf passes are available to Rancho Carlsbad residents. For those seniors looking for an active lifestyle with bountiful social options, on and attractive property, in a location with great year around weather – then they should seriously consider life at Rancho Carlsbad. To learn more about Rancho Carlsbad’s HOA information including rules and restrictions before committing to purchase a home, please be sure to call their HOA directly at 760-438-0332 . 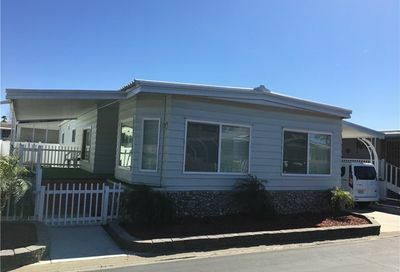 Solamar is a very small gated 55+ community that consists of just 108 manufactured homes ideally located on the west of I-5 near the Pacific Ocean. This Carlsbad 55+ community is resident owned. Homes do not come onto the market in Solamar as frequently as some other San Diego 55+ communities do. If Solamar might be a good community for you, we can easily email you listings there as they come onto the market if you would like. If another community might work for you, we can do the same there too. Just contact us at 760-798-9024 and we are happy to set this up for you. Solamar Monthly HOA fee: $216 pays for common area maintenance only. Solamar Pet restrictions: 1 dog – 2 pets total allowed (1 non-dog) all pets must be under 35lbs. Age restriction for spouse: none Under age visitors? none. Rentals restricted to no more than 90 days per year. To learn more about Solamar’s HOA information including rules and restrictions before committing to purchase a home, please be sure to call their HOA directly at 760- 438 2236. Got specific questions regarding HOA rules and restrictions in Carlsbad 55+ communities, we highly recommend for you to call and have a discussion directly with the HOA. We have found this to be, by far, the most time effective way for everyone because more often than not, one question leads into another. By speaking directly with the source, you get the most accurate information plus the opportunity to really clarify all of your points. To that end, here are the HOA phones #s for the following Carlsbad 55 and over communities.